Pure “O” – Fact or Fiction? 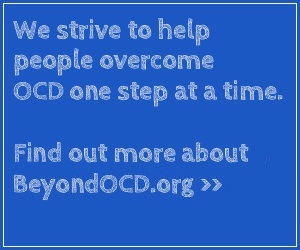 Obsessive-compulsive disorder (OCD) is diagnostically classified as an anxiety disorder due to its hallmark feature of intense periods of anxiety. The diagnostic criterion for OCD states that an individual needs to experience either obsessions or compulsions to have OCD (American Psychiatric Association). The inclusion of this “either or” in the definition of OCD allows for the existence of an individual suffering from only obsessions (i.e., “pure obsessional, or “pure O”). This subtype of OCD seems to contradict clinical observations made by many thought leaders in the field of OCD. Meaning that many would say that they have never assessed or treated an individual with pure O, forcing them to conclude that this phenomenon is either quite rare or it simply does not exist. So which is it? The manuals we rely on state that this condition is possible (i.e., fact) yet many leaders in the field say that it doesn’t exist (i.e., fiction). In my own experience, I have had many OCD sufferers who believe (or have been told) that they have pure obsessional OCD. They supposedly only suffer from obsessional thoughts but do nothing in response to them. These individuals will report that they don’t do “any of that hand washing or checking stuff and only have the thinking part of OCD” therefore are pure O’s. Obsessions are defined as unwanted thoughts, images, or impulses that generate high levels of anxiety. Common examples of obsessional thoughts are the fear of contamination, doubting, need for exactness or symmetry, harming, or other unacceptable thoughts. Compulsions are some repetitive or ritualistic act that is done to neutralize the obsessional thought, reduce the anxiety that it causes, or is done to somehow prevent a bad event from occurring. These acts can be behavioral (e.g., washing, tapping, physically checking a door lock) or mental (e.g., counting or praying silently in one’s head, mentally reviewing an event or conservation). Herein, I believe, lies the root of this controversy. Although, as stated above, I have met many individuals who initially believed they had pure O subtype OCD but none of these cases ended up being classified as such. As the definition of compulsions shows us, the “thinking part” of OCD goes well beyond just the obsessional aspect of OCD. Compulsions can be a mental or thinking act as well. They do not have to be something you can see (i.e., a behavior). Counting, praying, repeating words or phrases, or reviewing can all be done in one’s head. As a result, they can commonly be misdefined as obsessions rather than compulsions thus leading one to believe in the pure O subtype of OCD. My stance is that everyone with OCD has both obsessions and compulsions. If we keep the broader definition of compulsions in mind, I have always (without fail) been able to tease out some sort of thought or image that is done in response to the obsession. It may be very brief (e.g., thinking “God is good”), perhaps even outside of the individual’s awareness initially, but it is there. So how can you or your therapist determine which thoughts are obsessions and which are compulsions? It is actually fairly simple. You need to do what we call a “functional analysis” of the thoughts. Don’t worry; I am not talking about that kind of “analysis”. To perform a functional analysis on your thoughts all you need to do is ask yourself “when I think that thought do I experience an increase in anxiety?”. If so, then it is an obsessional thought. Another question to ask yourself is “when I think that other thought does my anxiety go down (or at least was that the goal of the thought)”? If so, then it was a mental compulsion. So what if you (or your therapist) perform this functional analysis and you still conclude that there are anxiety producing thoughts but nothing that follows designed to reduce it? Is this the elusive pure O or perhaps something else? Notice I called these “anxiety producing thoughts” and not obsessions. Typically, when someone presents with thoughts that induce anxiety but do not perform any behavioral or mental compulsions designed to reduce the anxiety a therapist should consider the possibility of the diagnosis of generalized anxiety disorder (GAD). GAD is a different type of anxiety disorder characterized by excessive and unrealistic worry regarding multiple life areas (American Psychiatric Association). Individuals with GAD have anxiety producing thoughts (e.g., worry), but do not perform any rituals. Common themes of worry in GAD include safety of children, health of family members, financial security, and job performance. There is a large difference between obsessions and worry. Obsessions are typically described as “lightening bolts from the blue”. An individual who experiences obsessional thoughts will say that one minute they were “minding their own business” and the next minute flooded with unwanted thoughts, images, or impulses that were very unwanted and unacceptable. Worry, on the other hand, is described as “a rolling thunder”. An individual will begin to worry about something and the intensity continues to grow over time. The thoughts are not considered unwanted or unacceptable. In fact, some with GAD would think it would be unacceptable not to worry about these things. Therefore, in my opinion pure O is fiction. It doesn’t exist. In most cases, what we were calling pure O was really the typical mental obsessions with mental compulsions which were being mislabeled as obsessions. In some cases, perhaps the individual who thought they had pure O really didn’t even have OCD but had GAD instead. It is also important to keep in mind anxiety disorders commonly co-occur in the same individual. Meaning, that if some of the information regarding GAD was ringing some bells don’t automatically jump to the conclusion that you have only GAD and not OCD; people can have both. From a treatment prospective, individuals with obsessions and mental compulsions are no different than the more typical OCD cases with obsessions and behavioral compulsions. From a clinician standpoint my job is the same and is no more difficult whether the compulsions are behavioral or mental. An exposure hierarchy would be developed and the mental compulsions would be addressed with ritual prevention. However, from a sufferer’s standpoint treatment of mental rituals is more difficult. This is because the compulsive thoughts can occur so quickly and seemingly automatically. Our experience is that individuals who are motivated do respond to treatment; however, it may take more time and more intensive therapy.